ERP in the Cloud, with the example of Cloud like as electricity from the grid, sounds tempting. But customers are hesitant to use ERP SaaS solutions. When it comes to running business applications, the issue of ERP software as a service (which is basically SaaS) more frequently discussed. 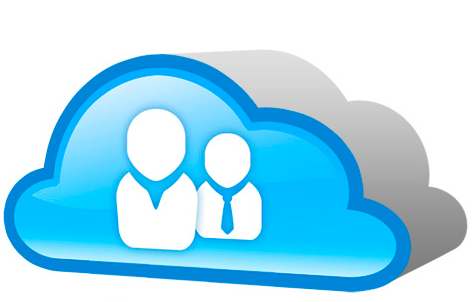 SAP builds with its cloud-package “Business ByDesign” gradual global presence. The American company Plexonline offers a purely a SaaS model solution for manufacturing companies. In accounting, project management and CRM / marketing there are many companies. ERP in the Cloud, is not a new topic, indeed we discussed it before. Microsoft offers not only SaaS offerings for “Dynamics NAV”, but also uses the experience gained from the operation of its own CRM solution, even as on-premise and on-demand version offerings. This hybrid way to go as well as providers who brought their existing solutions to the cloud and redistribute in parallel to ERP in Cloud, also as a classic on-premise version. Relating to the system without the need for building the infrastructure, an Internet browser and a corresponding installation of software is required. This applies to a traditional office environment. To clarify working offline options, such as requests for mobile workers. The applications offers high standards with appropriate certification in relation to data security, performance and availability. Appropriate service level agreements and certifications are usually reach a very good availability and usually a better protection level than the servers in small and medium-sized enterprises. In addition, the provider ensures backup and recovery scenarios. However, users have to clarify what legal basis is necessary to restrict the use of their ERP or customer data and which provider is subject to the legislation. Payment is made ? ?periodically by a “pay-per-use” model: In general, the factors are duration, number of users and functionality which determine the price – a true consumption-based billing is not yet reached yet, but these models are calculated for users and protect against surprises. Initial investments are not necessary. Accordingly, the liquidity is protected. The system is simple, usually without IT expertise, or consulting or know-how configure: This has the disadvantage that users move within the manufacturer’s specifications and then have to give up some of their operation’s beloved character. The system interface should be intuitive and easy to learn and largely without training and can use. The system’s functionality can be extended by a largely unregulated and acting independently developer community: extensions are usually system-marketplaces. The rest of the part to consider is Criteria for SaaS applications, which are obviously applicable for ERP in Cloud too. On Demand in Computing : What On Demand Means ? On Demand in Computing, specially in Cloud Computing this word on demand is frequently used. On Demand has more than its literal meaning. Cite this article as: Abhishek Ghosh, "ERP in the Cloud : Demystifying Contracts," in The Customize Windows, July 17, 2013, April 23, 2019, https://thecustomizewindows.com/2013/07/erp-in-the-cloud-demystifying-contracts/.